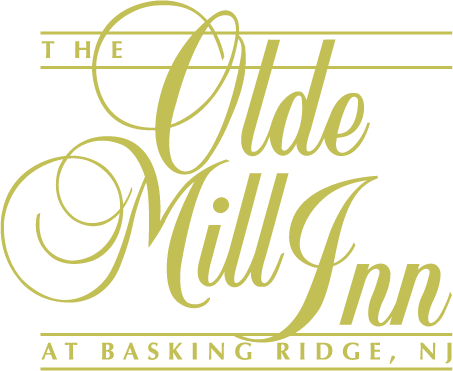 Discover what life was like during the mid 19th century through guided tours, special programs, events and exhibits close to The Olde Mill Inn. There is so much to see around the Basking Ridge area – from the landmark estate, Historic Speedwell, to the winter encampments of George Washington’s troops at Jockey Hollow. There are endless historic places in New Jersey to see during your stay, and our hotel is located just minutes from some of these amazing places. Take a special guided tour through the historic Wick Farm, a mid-1700s farmhouse. Follow the path for 4.5-mile hike to the reconstruction of the soldiers’ barracks that will take you to nearly every corner of Jockey Hollow. Located in the Morristown National Historical Park, the New Jersey Brigade Area marks the site where New Jersey soldiers enlisted early in the Revolution camped during the winter of 1779-1780. The trail, which is 20 minutes, passes some historic remains of the camp. Washington’s Headquarters and the Ford Mansion refer to the locations used as a headquarters by George Washington, the first United States President, who was also a Colonel in the French and Indian War and commander of the Continental Army during the American Revolutionary War. Located at Morristown National Historical Park, Washington’s Headquarters, Ford Mansion and the Washington’s Headquarters Museum Revolutionary War Museum are all popular New Jersey historical sites to visit during your stay. Discover life during the early years of the Industrial Revolution and the dawn of a new era in communications at the birthplace of the Telegraph. The historic speedwell is a 7.5-acre National Historic Landmark site which preserves the restored estate of Stephen Vail, proprietor of the Speedwell Iron Works from the early to mid-1800s. Enjoy two New Jersey historical sites at this attraction. The 200-acre Fosterfields Living Historical Farm offers educational activities and demonstrations of turn-of-the-century 1920s farming methods and life. Visitors are encouraged to participate in various farm-related activities. The Morris Museum features a distinguished collection of costumes and textiles, fine art, decorative art, dolls and toys, natural science, geology, paleontology and anthropology. Exhibitions, demonstrations and collection of trades and crafts practices in New Jersey from its earliest settlement. Enjoy educational programs for people of all ages at this museum. The U.S. Golf Museum is an educational museum for those who have a deep appreciation for the history of the game and its participants. The museum holds the world’s premier collection of golf artifacts and memorabilia, engaging exhibits and interactive displays. Visitors are welcome to enjoy some of the greatest moments in golf history.